Mr. Duran is a certified instructor by the National Rifle Association in Pistol and Personal Protection in the Home. The 8 Hour Handgun Safety / CCW Course, Intermediate and Advanced Concealed Handgun Courses* were developed by Mr. Duran to assist the concealed carry permit holder in developing the skills necessary to carry a concealed pistol. These advanced skill sets are often overlooked and require instruction and practice to develop and maintain. Mr. Duran is also a recruiter for the National Rifle Association; he can renew or provide a new membership at a discounted rate. Mr. Duran has offered firearms instruction since 2006. Mr. Duran is also a self-defense instructor and has been involved in formal martial arts training since 1979. Mr. Duran began instructing in self-defense and martial arts in 1993. 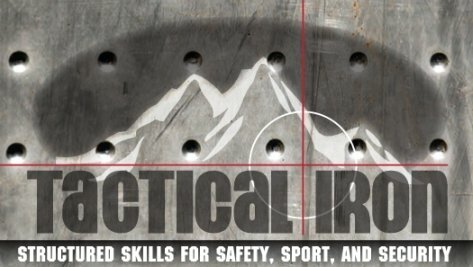 Through Tactical Iron exclusively Mr. Duran also offers specialty self-defense courses including knife combat, tactical tomahawk, and urban/wilderness survival. These courses are offered by request both for individual, private or class instruction. Lastly, Mr. Duran is a Certified Glock Armorer and can assist you with the annual function test recommended by Glock. He can help you determine the cause of any problems you might have with your Glock, determine if there is a known warranty issue, adjust or install new sights or other factory authorized modifications. Mr. Duran can also train you to clean your gun to factory spec or assist you by doing a complete cleaning and inspection of your Glock handgun and magazines. Tactical Iron Firearms training also offers Introductory Defensive Rifle and Introductory Defensive Shotgun classes upon request. Call or email to learn more about these courses. *The 8 Hour Handgun Safety / CCW Course, the Intermediate and Advanced Concealed Handgun Courses as well as the Introductory Defensive Rifle & Shotgun Courses are not NRA sponsored courses. Join or renew with the NRA and use our discount! Click here for our Upcoming Events! Find another coffee cup on zazzle.